Most of my reading and teaching of history has been focused on American history. As many of my students learned through the years, the War Between the States eclipsed every other historical event before and after the 1860s. But that has not been the only “specialization.” Twentieth century history–American and European–has been a favorite topic. Regarding Europe–and appropriately on this Reformation Sunday–the Protestant Reformation has been source of many reads and lectures. Both World Wars are consuming topics of interest, as is political history. As a person gets older, he realizes not how much he knows, but how little (and maybe how much he has forgotten). With teachings on Ancient History, the Bible, British colonialism, the desert war in World War II, and American political history, the Middle East has always been there on the horizon. Of course, any cursory glance at news and current events over the last decades is often dominated by events in the Middle East. Yet, the area, the region, the cultures, the dynamics, underlying problems, and other aspects of the Middle East has never been a prime focus or specialty. 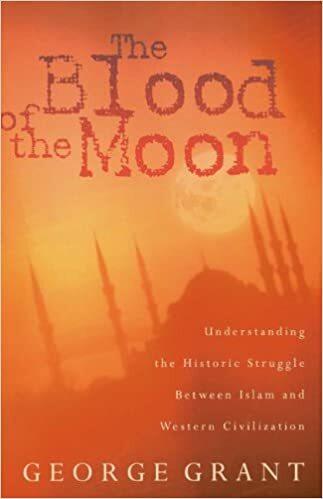 Several times I have read George Grant’s book The Blood of the Moon: Understanding the Historic Struggle Between Islam and Western Civilization. That book, which was revised back before 9/11/2001 is a good introduction and primer to some of the issues–cultural and religious–that define Islamic culture. With a mere 200 plus pages, all that book can do is open the door to understanding the basic worldview differences between Islam cultures and those of the historic Western and Christian tradition. As always, Grant has plenty of sources in the bibliography for further study. Having listened to a few of Dr. Grant’s lectures on the Middle East, I wish he had the time to add another dozen chapters to this book. 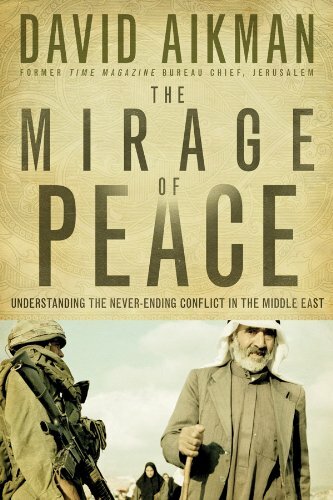 Earlier this year, I came across a book titled The Mirage of Peace: Understanding the Never-Ending Conflict in the Middle East by David Aikman. The copy I stumbled upon was a nice used copy, but I initially hesitated in buying it. First concern was whether the book was too outdated. Since many works on the Middle East are more journalistic than historical, there is a problem with reading extensively on the Mubarak regime in Egypt and thinking that is the current situation. Second, I am embarassed to admit this, but I often don’t trust Christians who write on world political events, especially on the Middle East. I wondered if the book were another Middle Eastern Armageddon prophecy alert. 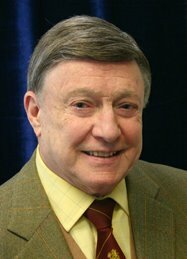 I read up a bit on the author, David Aikman, and learned that he is a history professor. Then I read some reviews of the book. A few people criticized the book for being too much of a Wikipedia-type general information source. Those criticism actually convinced me to get the book because basic information was what I needed. I really enjoyed the book and found it a worth-while read. 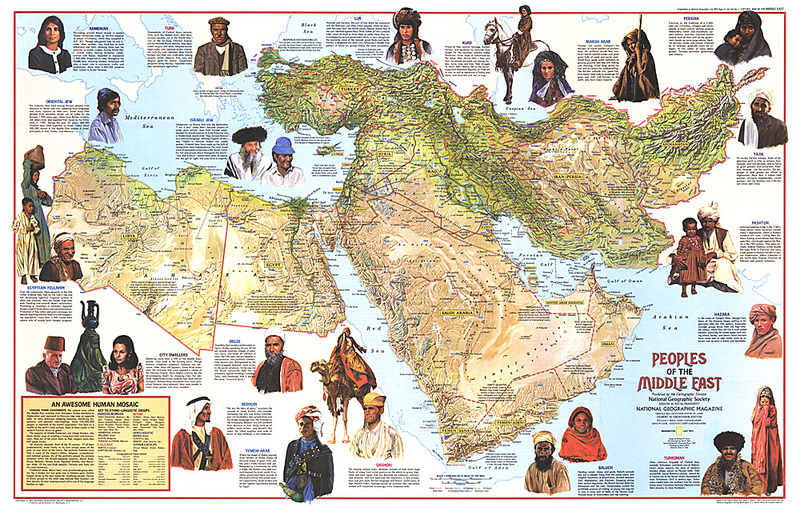 While I have some understanding of the differences between Iraq and Iran, there are many Middle Eastern countries that are simply places on the map. What is the difference between Jordan and Syria? Omar and the United Arab Emirates? This book contained brief histories of the region, the individual countries, and key leaders. Since it came out in 2009, it could use a revision and updating, but I think at least 95% or more of the book was still on track. This book was an incredible introductory course study for me and a good follow up to Dr. Grant’s more basic primer. 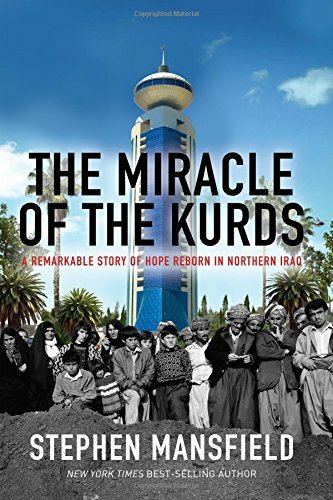 Some time later, when I came across Stephen Mansfield’s book The Miracle of the Kurds, there was no hesitation in making the purchase. I have read several of Mansfield’s books and also enjoy his ability to write popular history. And, I knew something about the Kurds from following George Grant and Servant Group International. Some years ago, that mission organization began a school called Classical School of the Medes, which is a thriving Christian school that teaches English and other subjects from a classical Christian perspective. It was no surprise when Mansfield, who lives in Nashville, Tennessee, included a portion in his book about his Franklin, TN neighbor George Grant. The Kurds are an amazing people. They have no nation-state and were brutalized by the Saddam Hussein regime. But they have endured and actually prospered. While the population is Muslim, they are not radicals and are not interested in importing or exporting terrorism. Many have come to the United States, and it was because of Kurdish contacts that Mansfield got interested in them. He did not write about these people from the luxury of a safe home in America. He traveled to their land and has taken time to learn their ways and their culture. It is easy enough to see people with darker complexions wearing turbans and to assume that they are all one monolithic folk. But this book reveals a beautiful and hardy culture that has endured horrific times, but has prospered with only a sliver of opportunity. My most recent read on the Middle East was The Peace to End All Peace by David Fromkin. Finding a nice, used, cheap paperback caused me to buy the book. (Being paperback was a negative, but it only cost a dollar.) I thumbed through the book a bit and then started reading. Being a book of over 600 pages, I knew it would take some commitment. But the book is highly readable and has the additional benefit of many very short chapters. This is an outstanding book. It covers the time period from the decade or two before World War I (1914-1918) up to 1922. The key country the book focuses on is Turkey, or the Ottoman Empire. Most studies of World War I relegate Turkey’s role in that war, and that is a reason why this book and its focus is so important. There are a host of political and military leaders who play key roles in this story, including David Lloyd-George, Winston Churchill, T. E. Lawrence (“Lawrence of Arabia”), Kemal Attaturk, Mark Sykes (of the famous Sykes-Picot Agreement), Georges Clemenceau, and many others. I never realized that while the United States entered into World War I, we were never at war with Turkey. This was in part due to trying to protect American missionaries and businesses in the Ottoman Empire. Prior to this book, my best source on the Arab revolt was the classic movie Lawrence of Arabia. Without detracting from that outstanding film, one has to separate Hollywood from history. 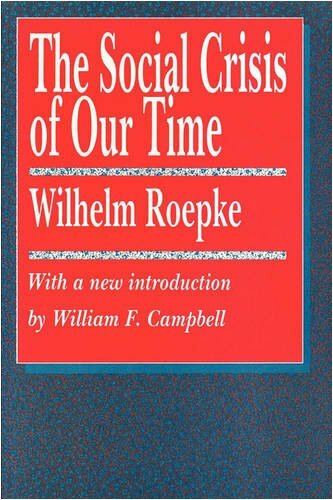 Oil, the British Empire in India, Russian interests in the Middle East, Greek conflicts with Turkey, the Jewish question, the Saud family, and many other topics cross the pages of this great book. It is one I truly plan on getting in hardback and reading again. There are a few more books that I have picked up as I continue to piece together a better understanding of the complicated, crucial world of the Middle East. The Fighting Scots…Highland Warriors…the Women from Hell (a reference to kilts)…the Pipes sounding over the glens and heather of the Scottish landscape…Culluden…”Aye”…William Wallace and Robert the Bruce…Blue Face Paint…Broadswords…and on it goes. As a lover of history and of stories–and the two fit nicely together–it is easy to fall in love the with themes and images of Scottish legends and lore. From the stories of Sir Walter Scot–who was a Scot–and Robert Louis Stevenson to movies such as Braveheart, Scots inspire lots of readers and fans. Festivals are held in America celebrating Scottish heritage and young men, not the least bit confused in their gender identity, don kilts and work at playing pipes. What Presbyterian can not love Scotland? From John Knox, Andrew Melville, Thomas Chalmers, and a host of theologians, pastors, and preachers down the ages to Eric Liddel and John Murray of more recent vintage to Sinclair Ferguson and Alister Begg (who, incidentally, is a Baptist), Scots have rallied behind the cross of Christ and the theology of Calvin across the continents for centuries. Even the history of America can be told as an almost totally Scottish affair. Who settled the frontier from Pennsylvania down through the Appalachians? The Scots. Where did the defeated, but still determined Scottish soldiers from Colluden go to lick their wounds and wait for another and better day of battle? The American colonies. The War for Independence itself may very well have been caused when the colonies ran off with a Scottish parson. That parson, in the minds of many, was the Scottish theologian, teacher, scholar, politician, and patriot John Witherspoon. 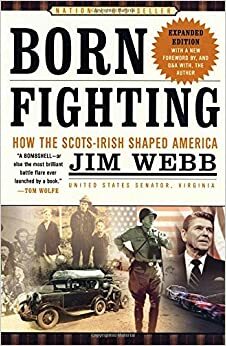 Those delighting in the American versions of Scottish plunk and persistence enjoy books like James Webb’s Born Fighting. From athletes to politicians to soldiers, it has been the Scots, the Irish, and the Scots-Irish who have won our sports events, led our country, and fought our wars. Webb’s book is a fun and frolicking version of the story. 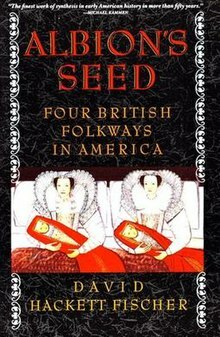 Another weighty and yet popular study is Albion’s Seed by David Hackett Fischer. It covers far more than just the Scots, but it does reinforce the idea that this small clannish people played a great role in the settlement and direction of the emerging American nation. 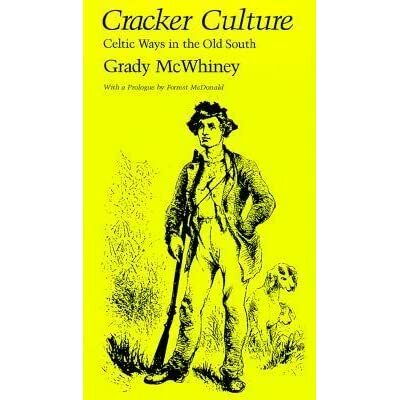 A Southern angle on the Scottish heritage is seen in Grady McWhiney’s fine book Cracker Culture along with the book he co-authored with Perry D. Jamieson, Attack and Die: Civil War Military Tactics and the Southern Heritage. The thesis of both books, which focus on Scots and Celtic heritage and culture, may have been a bit over-emphasized, but both books are good and enjoyable studies. Personally, I treasure Iain Murray’s fine volume of biographical studies titled A Scottish Christian Heritage, which is Published by Banner of Truth Trust, which is located in Edinburgh and is the source of many reprints of Scottish theology. Scotland is an amazing land. With geographical challenges, with a long history of subjugation by their more wealthy and numerous southern neighbors (or oppressors or rulers)–the English, with religious convictions that resulted in theological battles at home and missions to every corner of the world, the Scots have made an impact on history that outweighs their country’s size, wealth, or resources. Along with the Netherlands, Scotland is one of the dominant influences in American and world history. Even those who cringe at the sound of bagpipes and try to avoid Celtic jigs and would never touch haggis still love the Scots. Or, in some cases, maybe they just love Scotch, or Scotch tape. History taught as stories is essential for the elementary, junior high, and high school teacher. We history teachers have an obligation to create an environment for romance; that is, we are to kindle a growing love between the student and the subject. So, we sometimes dance lightly among the facts and weave in the fictions. I experienced this often in regaling my students in tales of Southern bravery in the War Between the States. 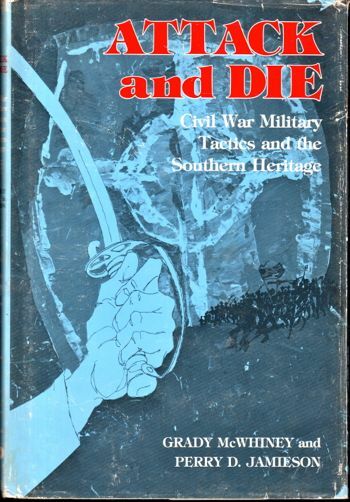 Let no one doubt this: I love the South and consider the Confederate armies to be incredible exampes of fighting skill and bravery. But, often Southerners ran in battle–from the enemy, not toward him. Some, after being captured, became “galvinized Yankees” and fought for “those people.” Many southerners sided with the north from the very beginning of the war. Southerners deserted in droves. While there was a great revival in the Confederate armies (and in the Yankee armies as well), the south had its share of Unitarians, unbelievers, false professors, and immoral scoundrels. General Earl Van Dorn wasn’t shot by a Yankee for leading a Sunday school class. History can become Mythstory. The history teacher–matchmaker and romantic that he or she is–still has an obligation to sometimes dig deeper and uncover the myths, prejudices, hasty generalizations, lies and deceptions, and even favorite anecdotes. We are obligated to be truth tellers, not propagandists. This brings me to an incredible book titled Fatal Land: War, Empire, and the Highland Soldier in British America by Matthew P. Dziennik. This book is published by Yale University Press. Like many university press publications, it is very well done, and, unfortunately, like many university press publications, it is a bit expensive–$65. I was blessed with getting a review copy and am supposed to add that I am completely free to like or dislike the book. But, there was no way I was going to dislike this book. That being said, this is a challenging read. I was not propped up late at night on my pillows refusing to turn out the light because I was engrossed in the exploits of the Scottish Highland soldiers. Instead, I read this book in the mornings. (By an amazing turn of events, I became a morning person years ago by necessity.) It took strong coffee and a clear mind and lots of time for me to work through the book. In this post, I will only begin to discuss this worthy book. First, the personal: I was at Yorktown Battlefield Park in 2007 after attending the Christian Worldview Student Conference. I asked one of the uniformed park workers a question about the Scottish Presbyterians who did play a big role in Continental Army that whipped Cornwallis at Yorktown. I was referred to a young park historian who happened to be from Scotland. It was then that I met Matthew Dziennik. I am sure that he talked to many people over the course of the months. In this case, however, the talk led to an exchange of emails and a correspondence that has continued over the years. Matthew sent me a paper he had written and I used a quote from it in my book Punic Wars and Culture Wars. I had the sense that this guy was going places in the academic world. For once, my senses were right. Now, Matthew is Dr. Dziennik and has been teaching history at the University of Saskatchewan and now at the Naval Academy in Annapolis. In spite of having an Eastern European last name (Polish, I think), Dr. Dziennik is a true Scot. Born and raised in the Highlands, he also received his degree from the University of Edinburgh. To make matters worse–worse for us jealous types–he readily slips in phrases or whole paragraphs in Gaelic in his writings. I suspect he golfs, pipes, and has a kilt as well. I also rejoice in that he and I share a connection to Presbyterianism. He was born into it and married a Presbyterian girl, while I came to it later in life. Matthew Dziennik obtains both a doctorate and a bride. What a blessed man! Dr. Dziennik had a series of wonderful occurences on the road to scholarship and academic acclaim. He married a girl named Sarah McCaslin (and to they know the connection of that last name to William Faulkner’s characters? 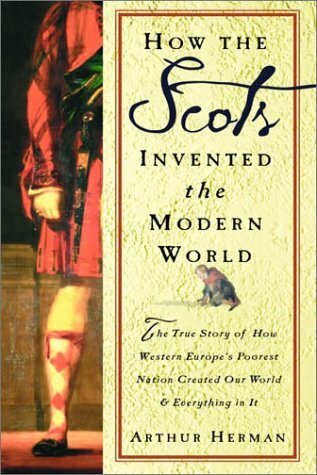 ); his dissertation became a book and was published by Yale University Press; he was sought out and is still sought out for his political perspectives (he favored the failed referendum for Scotland to secede); he has hopped across the pond separating his beautiful highland country and our land many times; and he and his wife have a beautiful daughter. This guy will continue to be a force in the field of academic history. I hope he writes a few books that are more narrative in style and more appealing to a wider audience. I hope he can rival his fellow Scotsman and historian Niall Ferguson. I hope we can cross paths again and he can autograph my copy of his book. I know that it is a shameful thing for a fellow my age to be star struck by a historian. But that is what I want to be when I grow up–a real historian, and a novelist, and a theologian, and a wrestler. A wee bit on the book: Scots were not natural and overly fierce fighters. The Scots invested their lives and ideals not in Scotland, but in the British Empire. Scots, while oppressed by the English, harbored no inborn sympathy toward native cultures found in the Empire. Most important, not all Scots favored the Americans in the War for Independence. 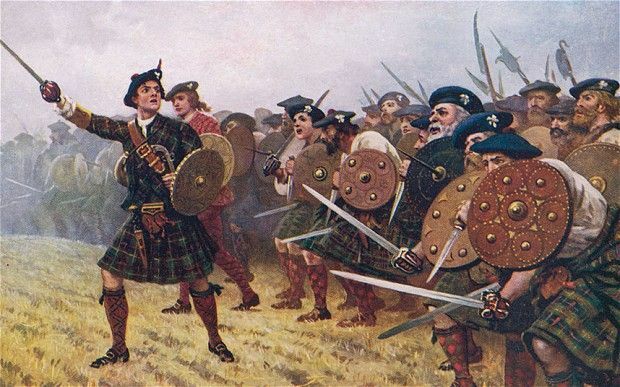 America’s War for Independence was not a Scottish rebellion, for Scots fought on both sides. The careers, training, settlement, post-military actions, and culture are all examined in this book. This is a study. It puts some beloved myths to rest. It calls for strong caffeinated coffee and a clear mind, but it is a rewarding book. In 1986, conservative author, thinker, speaker, and teacher Russell Kirk gave a talk at the Heritage Foundation. His topic was ten conservative books. 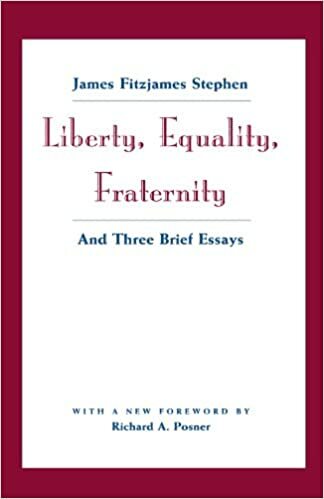 Although he had been a key leader in the conservative movement for decades and had written extensively, other than mentioning some introductions he had done for these books, he did not tout his own works. I love book lists. My immediate reaction is to check off the ones I own and the ones I have read. Then I begin to figure out which ones I simply must buy–immediately, if not sooner. Finally, I grumble at books that are not on the list, but should be. All in all, it is quite fun. And, often it is humbling, challenging, and humiliating. Kirk’s list has all of those features. I own far too few of them, have read fewer, and am not really aware of some of the authors and books listed here. 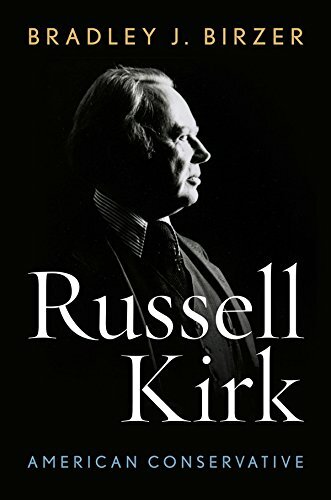 I am currently on a quest to learn more about Russell Kirk. On the one hand, I have been reading things by and about him for years. Frequent reading of National Review magazine, of the writings of William F. Buckley and other conservatives, and of conservative materials have put me in contact with Kirk along the way. I own at least a half-dozen of his books. Now, I have the brand new biography of Kirk by Bradley Birzer. So, I feel compelled to begin an all out assault on learning more about him. Let me reflect on these 10 book selections that Kirk recommends in the essay found here. I have this book on Burke and several others on the man, including Kirk’s biography, titled Edmund Burke: A Genius Reconsidered. No one studies the American War for Independence without becoming aware of Burke’s dissent from Parliament and nod of agreement toward the colonies. Nor does one dip into writings of those who refrain from embracing the French Revolution without realizing how important Burke was. I have not read Burke enough to even earn the respect of the lowliest sweeper in the great halls of conservative thought. I am glad to report that I have numerous editions of this work. Also, I have read extensively in it and have assigned and taught through parts of it in my classes. That being said, I am still an elementary student in regard to this writing. It is not easy to interact with in high school classes, but I still think students ought to have a little working knowledge of it. If I were to design a college with a history major, this book would be required reading. 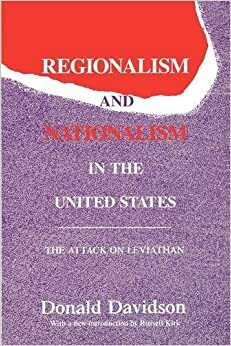 Side note: In his taped lecture series on American History, Dr. R. J. Rushdoony gave a large number of lectures on this book. They were my first acquaintance with this classic. Finally, Tocqueville is quoted often–and sometimes ficticiously–by all manner of writers on topics relating to America, politics, and culture. I have long been a fan and cheerleader for James Fenimore Cooper. Perhaps it is the mere challenge of engaging kids in our day and time with the plodding plots, stilted dialog, and antiquated syntax of the Leatherstocking Tales. 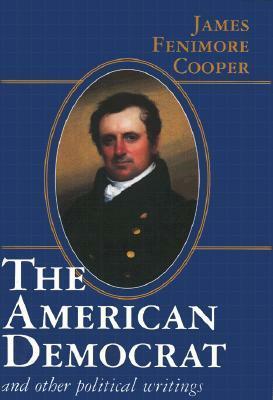 I have enjoyed teaching both The Deerslayer and The Last of the Mohicans and am bound and determined to read more of Cooper. I recently bought this book simply because it was on Kirk’s list of recommendations. I will be trying to get to it next year since I will be teaching American Story Humanities. I admit that Kirk’s nod of approval–plus a good price–was enough to convince me to acquire the book. I regret to confess to not owning these books or being familiar with them. They tend toward being a bit high priced, so I will likely wait a while before getting them. At some point in the past, due to either finding a bargain price or some recommendation, I bought this book. It has patiently waited on my shelf in hopes that someday I will pull it down and read from it. I came to know of Donald Davidson some years ago and began buying everything I could find by him. He was one of the Agrarians, and arguably one of the best and most uncompromising of the Agrarians. He was also an outstanding literary critic and a fine poet. I would like to think that this book is in my library somewhere, but I am just not sure it is. God continues to raise up more and more thought-filled and thought-producing Christians. If there were in the past events we can use words like renaissance, reformation, and enlightenment to describe, there are events in our day and time where the same terms apply. Christians wage war on a variety of fronts and in myriad ways against the thought-systems of our day. Thankfully, we continue to witness Christians whose gifts, calling, and training are equipping them to hew down the forests of idolatry and unbelief in our time. A delightful, challenging, and discussion-worthy book titled Teaching Beauty–A Vision for Music and Art in Christian Education was published this past summer. The publisher is Square Halo Books and a great place to order the book is Hearts and Minds Books. 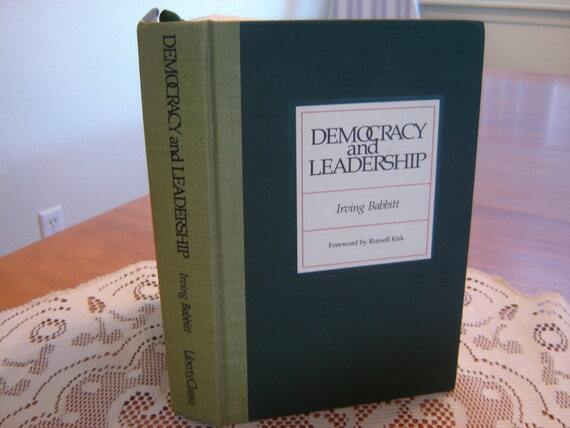 The first impression upon seeing the book is that in spite of an attractive cover, it is rather small. The 160 pages, however, are rich. I read this book back in August and was very impressed. The bad news is that a teacher/administrator in a Christian school has to get into “school start-up” gear in August, and this book is one that really needs time, discussions among faculty, and some serious thinking to implement. 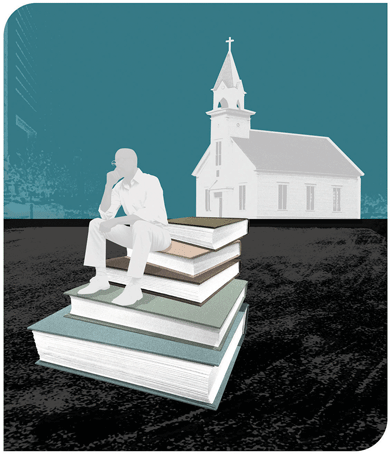 Classical Christian education has been largely driven by a desire to teach students to think. Dorothy Sayers’ oft repeated statement is that the goal of education is to teach children how to think. Also, since classical Christian education carries with it that hefty word “classical,” there is a great emphasis on reading classics. Add to that, the re-discovered benefits of Latin, logic, and rhetoric. Beauty, or aesthetics, sometimes gets pushed back in the studies and emphases. In part, this is because beauty as such is really hard to teach. We live in an age where beauty is always under assualt. The appreciation, refinement, time, and cultural re-alignment necessary to cultivate standards of beauty are hard to achieve. Beside, what part of the ACT or SAT college entrance exams deal with beauty? Thankfully, in my experience and the experience of Veritas Academy where I teach, we have had an excellent music program that does recognize and strive to achieve beauty in music. I am continually realizing how little I have done to supplement our music education with other studies of beauty in art and architecture. Hopefully, our literature has also been on target. Teaching Beauty consists of a essays by a different teachers who specialize in thinking through aesthetic issues and teaching music and art to students. The book grew out of a conference that was held so that Christian teachers and administrators could turn the spotlight on the subject. This is not a “read it once and shelve it” book. I strongly feel the need mentioned earlier to sit in a room drinking coffee and discussing this book with other teachers. After that, implementation becomes the chief priority. Another weighty book, and this one is truly weighty in terms of both size and content, is Tough-Minded Christianity: Honoring the Legacy of John Warwick Montgomery. This collection of essays was edited by William Dembski and Thomas Schirrmacher and is published by B and H Academic. I really like this TYPE of book. There are a number of contributions by a host of Christian writers on a wide range of topics. The common denominator is that they are all honoring the writings and thought of John Warwick Montgomery. I usually don’t read these kinds of books directly from cover to cover. Instead, I start reading the essays that appeal the most to me. I keep such books handy and pick them up again and again to either read or review particular portions. It doesn’t matter in the case of this book whether you open it to the beginning, the middle, or near the end. However, let me suggest that many readers would enjoy the Foreword written by Paige Patterson, past President of the Southwestern Southern Baptist Seminary. Take note that this book is published by a Baptist publishing house also. Patterson relates how Montgomery’s writings helped him when he was struggling with theological issues regarding Scripture. Oh, yes, I should emphasize–Montgomery was a Lutheran. The contributors come from a wide range of theological backgrounds and include such men as J. I. Packer, Alvin Schmidt, Michael Horton, and virtually a cast of thousands. There is a reason why all these people think so highly of Montgomery: He was a towering intellect. The range of his mind and life are all unbelievable. He makes most fictional super heroes seem small. He has 30 plus books that can be found on Goodreads. Most of us would have to live 6 to 8 lives to accomplish what he did. Here is another reason why this book is so good: Too often we Christian readers, and maybe even more so, those of us who are Reformed, join camps and causes and enjoy the thrill of circling the wagons against enemies. There are, by the way, no shortage of real enemies. However, we then expend loads of time and energy fighting one another over different approaches to theology, or in the case of Montgomery, apologetics. At some point in my past, I grew tired of books and lectures on apologetics that were devoted to answering, not the unbeliever, but other schools of apologetics. The intramural wars were so intense that little energy was left for combatting the unbelievers. I was, by virtue of both environment and preference, inclined to the Van Til camp. Of course, the Van Til camp was also infected by divisions. I know that the deep and able students of apologetics, many of whom delve into the philosophical issues of epistemolgy and metaphysics, focus on obscure details and minor points of contention for good reasons. I know that the historic Van Til vs. Gordon Clark debates were not frivolous. But I don’t have the mind or thinking precision to sort out Cornelius’ and Gordon’s particulars. Besides, as Greg Bahnsen once said to me, “They are completely reconciled now.” If self-deprecatory humor exists in heaven, you can bet that Van Til, Clark, Bahnsen, Dooyeweerd, and Karl Barth enjoy lots of laughter. Back to Montgomery: Van Til and Montgomery differed on apologetics. Consequently, Van Til’s followers and Montgomery’s followers differ. No one in my neighborhood even knows who they are…or cares. Few in my church know, and maybe some of my Facebook friends know, but most of them don’t. So, I am with Montgomery and Van Til. Also with Gordon Clark, and R. C. Sproul and John Gerstner, and Herman Dooyeweerd and Roy Clouser, and Francis Schaeffer and Josh McDowell, and R. J. Rushdoony and Tim Keller, and C. S. Lewis, and Karl Barth and Dietrich Bonhoeffer, and John Frame and Michael Horton. Let them fight all they want as long as the books keep getting published and I can keep picking up good notions here and there.